Gamers come in all shapes and sizes. From Dungeons and Dragons to World of Warcraft to Legends of Zelda, gamers are a group that is often lampooned in modern literature. However they are welcomed by the web comic community. 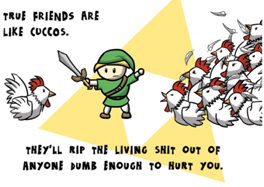 Here are a few web comics that appeal to the gamer in all of us. My oldest web comic fetish and still one of my favorites, Rich Burlew’s tales of an adventuring band of gamers makes me laugh and shake my head with every new strip. Usually it is updated with frightening regularity, but Rich recently suffered a hand injury so it has been put on hiatus for a little while until he recovers. There are literally books worth of archives available for you to read in the meantime however. I love the characters from the fighter and leader Roy to the bumbling but surprisingly successful Elan to the almost evil but not quite bad enough Belkar. The success of the stick figure comic strip has led to the creation of a game (fun if you get a chance to play it) and many comic book compilations for sale. The story line has a great flow to it but Rich also gives us enough action and monster battles to keep us entertained. A great balance of story and humor this one is a must read. This is another gamer friendly web comic. 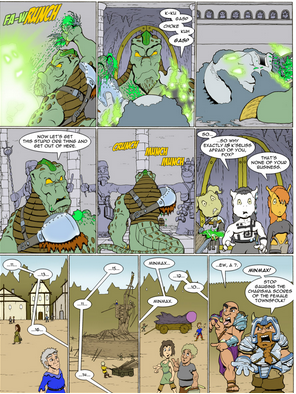 Based on the villains in virtually any game, goblins, the comic follows a heroic band of goblins determined to get revenge for the slaughter of their tribe. 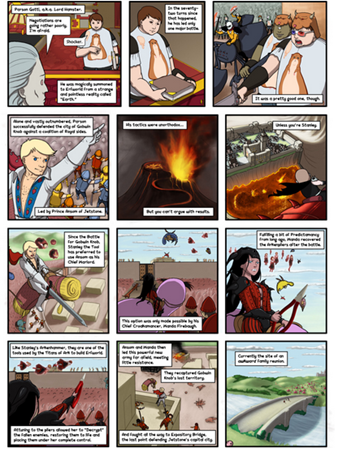 The comic also shows the flip side of the equation, with the adventuring band and their problems as they make their way across the world. As the story line progresses you do not know which side to root for, and it gets increasingly more complex as new characters and sub plots are introduced. Currently in its fourth book, this long lasting web comic is full of great art by Thunt, who also has a link so that you can watch him draw the comic live online. The humor is great and the violence is greater with plenty of murder and mayhem everywhere you turn. Definitely not a comic for the squeamish at heart. The art has changed considerably from the first comic book, so do not let that throw you off. This is one comic that all gamers can relate to. When a gamer from Earth is sucked into Erf World, the whole game changes. Commanded by Stanley the Tool, Lord Hamster (named for his ‘crest’) must lead his troops into battle. The juxtapositions of soft and cuddly creatures and violent warlords will have you laughing and cringing at the same time. With a broad and in depth story line and a lot of strategy, this is one web comic that you can really get into. I was going to call the section ‘for the movie lover’ but really it is all about Star Wars. George Lucas’ classic science fiction adventure series is well loved and thus well used by the web comic community. There are many varied comics based on Star Wars, but these two caught my attention. This is a great web comic that takes shots from the films and adds original dialogue. The background is that the characters are really gamers, involved in a role playing game that is headed by a GM. It started out with the new Star Wars series I and has now gotten to the classic series IV. Any fan of Star Wars will be rolling with laughter as Chewie elucidates Han’s impulsive behavior, Jar Jar is a genius, and R2-D2 is an opportunistic psychopath. From the very beginning you get pulled into this alternate universe where anything can happen, even when you know what the outcome will be. Thankfully, they treat the series with respect so that a true fan can read this comic without cringing. 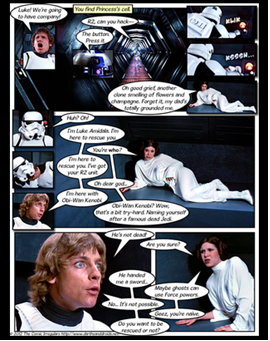 Unfortunately, this Star Wars based comic strip is cringe worthy. But if you have a sense of humor about the whole thing there is a lot to be said for it. Poking fun at all aspects of the show, this comic strip is simple and puerile at times. However I personally enjoy the commentary at the bottom that reveals facts about some of the lesser known characters (and actors) that I had not heard of before. From bunny slippers to modern references, there is plenty of humor in this comic strip. Even geeks have a romantic side, so that is why I have to include this next web comic. When a blue haired human and a tiger/human hybrid fall in love they have a hard time of it. The boy has lost his memory and is searching for his past while she searches for her future. Together they make new friends and go on many adventures, struggling against prejudice and slavery along the way. The characters are adorable, the story line is unique, and the plot is always moving forward. It has recently moved, so if you have it bookmarked you may want to update it. If you are a real math geek or philosophy nerd, then you will love these two web comics. It may take some thought to get them, but once you do you will not want to stop reading. Written by a math, computer, physics and language geek, some of these comics are above my head but that does not stop me from reading. A simple black and white stick figure style is upgraded to fabulous by the thought provoking content and great author notes. If you want to really think, try hovering your mouse above the strip to see the author’s additional text. For additional nerdy knowledge, check out the ‘what if’ page where readers ask science questions a la Myth busters. More an exercise in philosophy then a web comic, this one is based on the existing Garfield comics, just without Garfield. When you take the cat out of the equation you are left to ponder Jon’s life as a single man. Thought provoking and somehow entertaining at the same time. This last web comic is one I had to include, though I was not sure which category it fit in. Rather random and chaotic as it is, it is still worth mentioning and adding to your to-read list. 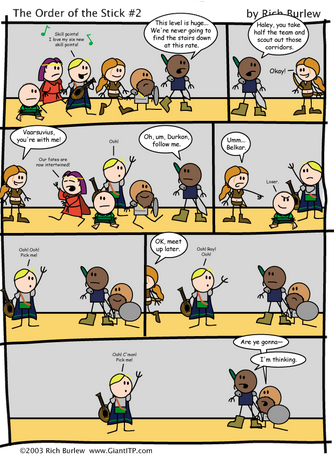 Part gaming comic, part a critique on modern life, and part a tribute to turtles, this web comic is all over the place. It is only one frame in vibrant colors and always has a sense of humor about things. There are literally thousands of web comics out there on any subject you can think of. They all vary in rating as well, from kid friendly to mature audiences only. If you are a comic fan just take a look around and see if you can find something that tickles your fancy. Or, better yet, try one of these!